Featuring the work of eight artists living in Tehran, Iran; Nima Alizadeh, Saba Alizadeh, Mohammad Ghazali, Ghazaleh Hedayat, Abbas Kowsari, Mehran Mohajer, Neda Razavipour, and Homayoun Sirizi – alongside new work by San Francisco-based artist Taraneh Hemami. This multi-media exhibition compiles a collective narrative of everyday Tehran, the largest city in the Middle East and the 16th most populated city in the world with close to 8 million residents. 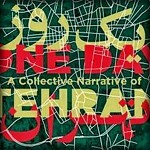 Representing the current unpredictability of each day in Tehran and also the hope that comes from imagining a better future, the artists chronicle narratives of place and time, demystifying life in a county that has been misunderstood and maligned for decades.